Blogging is all about improving and learning through testing and experience.For beginners we are bound to make mistakes.There are some simple techniques to use to figure out what’s working better and what’s not.For example as Google Adsense Publishers everyones tries to get the best click through on the ads ( remember only via valid else, else you could get yourself banned ) by testing Google ads of various sizes and colors.The same can also be done with Post Titles which is the only sentence which can get visitors to come to your post by clicking on it. 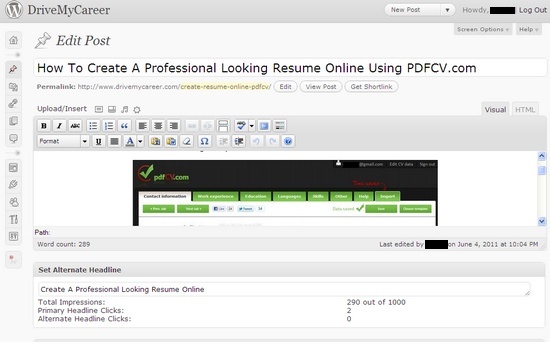 The Post Title should be attractive, interesting and short (can also be long if its needed ) and project the posts content.Writing an effective title is not a day’s learning but come by experience and practice.Here’s a way to test different post titles and based on the click through rate ( who came to read the post by clicking ) on the title the posts title is set accordingly using Headline Split Tester WordPress Plugin. 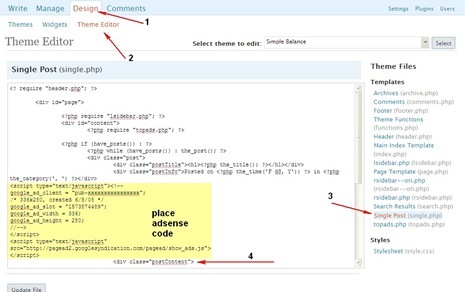 The plugin lets the user set an alternate headline (post title) to the post along with the primary title.The plugin then starts showing the titles randomly and based on the number of click each title received after the set number of Impressions the title with the highest impressions is set as the title. The number of impressions untill which the A/B testing needs to be done can be set in the plugins options page.The alternate title can be displayed in the Post Page. 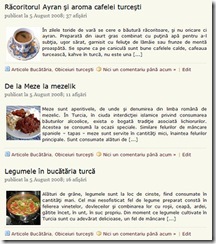 Once installed, a new meta box is added to the post creation/editing page where you can enter an alternative headline. 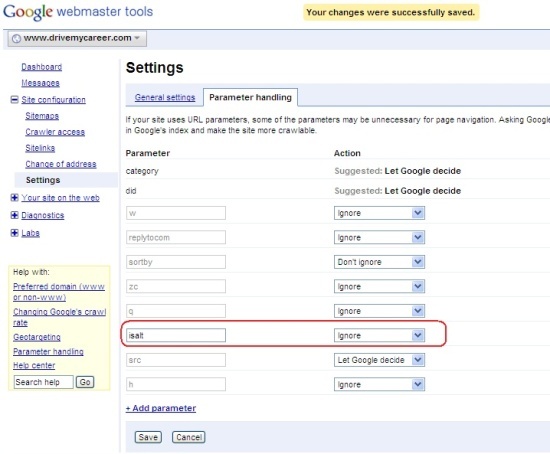 Once the headline is chosen based on the number of impressions, the parameter is no longer part of the URL.This parameter that the plugin adds to the URL can cause duplicate content because there would exist two pages with the same content which can lead to the search engine crawl bots confused.This can be taken care by notifying Google from Google WebMaster Tools, Parameter Handling and notifying Google Bot to ignore the parameter ie., “ isalt “ in this case should be ignore in the URL. Note : On a small blog this can take time as the page impressions for each post can take time and on a blog with huge traffic the parameter issue might not be much as the title might be chosen faster.So it better keeping the parameter away from Google.